Add a bit of southwest charm to your home with this sweet hand-drawn and foiled cactus art print. 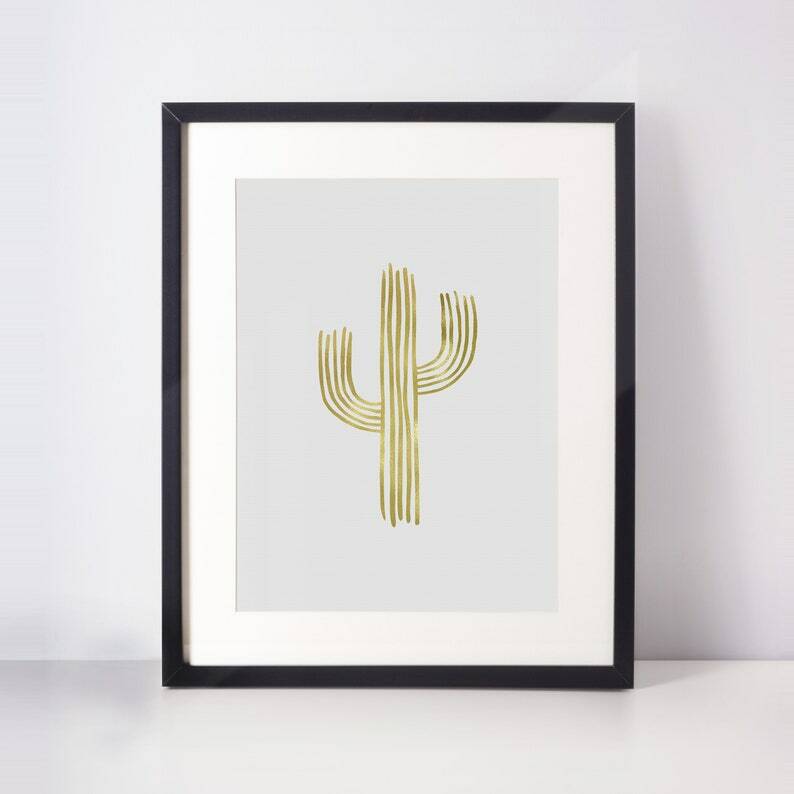 This art print is foiled in gold and is printed on white acid-free paper. The print measures 8.5x11 inches, and can easily be trimmed down or matted in an 8x10 frame.